From 200 USD / group / day! If you want to make the most of your time during your Russian vacation, you can choose a package tour. It's the small private tour with a friendly guide / driver for the whole time. We will help you with visa invitation letters as well. You can choose a budget or standard package, the price is clear and will be modified depending on your wishes and interests! Our Russian capital, Moscow, is a first must-see place in almost every trip to Russia. With Moscow's long and exciting history, it's no surprise that there are amazing landmarks scattered all across the city. Whether you're looking to visit medieval monasteries, historic houses, stunning cathedrals, soviet monumental skyscrapers, wonderful parks and more, there are plenty of landmark destinations to visit when you're in Moscow. We recommend you spend 2-3 days in Moscow to experience the bustling atmosphere of the Russian capital. The next many days we will see life in the typical Russian provinces visiting small towns of the famous Golden Ring somewhere in the rural Russia. It is a ring of cities northeast of Moscow, the capital of Russia. These ancient towns, which also played a significant role in the formation of the Russian Orthodox Church, preserve the memory of the most important and significant events in Russian history. The towns are one of the best places to visit in Russia! They have been called "open-air museums" and feature unique monuments of Russian architecture of the 12th–18th centuries, including kremlins, monasteries, cathedrals, and churches. You will also see the rural Russia with its old wooden houses and traditional villages. We spent six nights on a meandering road trip from Moscow to St. Petersburg with Travel Real Russia, experiencing not just the magnificent tourist sites, but also the small villages, back roads and real people. Tony worked with us long-distance to develop a custom itinerary, threw in a guided morning walk in Moscow and was invaluable in helping with various other travel arrangements. I'd recommend spending some time viewing the Travel Real Russia website and exploring possibilities.Tony is good company, young, energetic and knowledgeable. Also honest. And funny. And his English is excellent, though he insists on pronouncing "Ruble" as "rubble. "Best compliment: We felt like we were visitors, not tourists. I will pick you up from the Hotel at 8 a.m. We will drive to Sergiev Posad, the most important Russian monastery and the spiritual center of the Russian Orthodox. It's possible to visit the Evening Mass about 4.30 p.m.
Then we will drive for 100 km to the Private Museum where will stay for the night and have a banya (Russian Sauna). His owner is passionate about history, so his great collection have been built for last 10 years and located just on the territory of his private cottage. It's the unique museum where you can touch everything! Papers, clothes, guns and so on… We will start the tour in Soviet military UAZ van and change it to the comfortable VW Multivan at the end of the day. Night in the Private Museum for 6000 RUB / 2 rooms plus banya and museum. This day we will spend in Suzdal, small and beautiful Golden Ring town. I strongly recommend to visit Museum of Wooden Architecture, drink tea in the special Chamber of Kremlin, walk among several Monasteries, and take a 10-hour boat tour. This day we will be road tripping from Suzdal to Kostroma with a stop in Ivanovo town (another Golden Ring location). It's possible to make a stop in one of the villages on our way to Kostroma just to taste fresh milk and learn a little bit about life in the village. This day I strongly recommend to visit small Dunilovo town famous among photographers for its Monastery views. In the morning, we will walk around the Rostov Kremlin. Then we willfrive about 70 km to Pereslavl. Besides its main attractions including several monasteries and archaeological site of old town, I strongly recommend to visit museum of Railroad transport. The uniqueness of the museum is that it is a small railway in itself. It's possible to drive the real railcar for a 15 minutes which is quite impressive. We will start the day from visiting Bogdarnya, agro-touristic place where you try homemade cheese and bread. Then we will drive about 100 km to Vladimir and Suzdal. These towns are one of the best places to visit in Russia! They have been called "open-air museums" and feature unique monuments of Russian architecture of the 12th–18th centuries, including kremlins, monasteries, cathedrals, and churches. You will also see a lot of rural Russia with its old wooden houses and traditional villages. 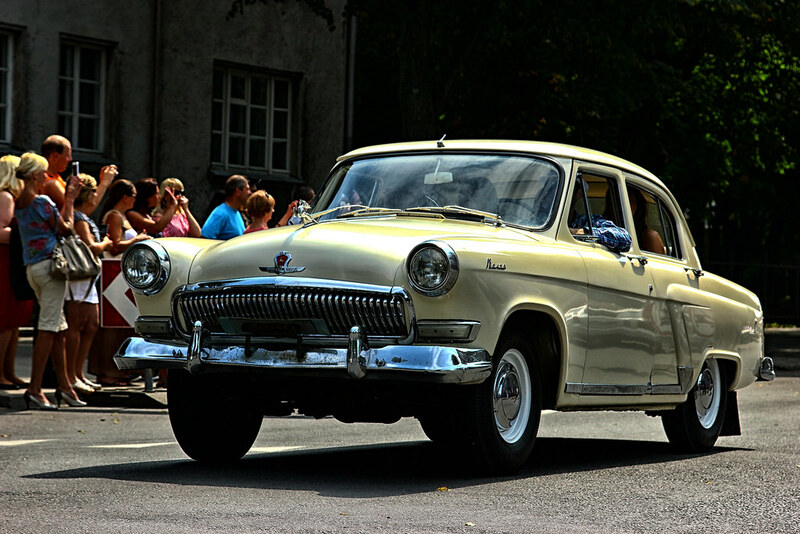 In Vladimir, it's possible to drive another famous Soviet car. We will visit several cathedrals and walk in the center of the city. We will have a lunch in a good restaurant with Russian food where I will tell you about the Russian cuisine. After, we will drive to Bogolyubovo town which is 10 km from Vladimir to see famous Church on the River Nerl. In the morning, we will start our Kostroma tour: Ipatiev Monastery, Trinity Cathedral, etc. After the lunch, we will drive about 50 km to Yaroslavl, another famous Golden Ring town. We will spend this day in Yaroslavl visiting its main attractions: Saviour Transfiguration Monastery, Church of Elijah the Prophe. I will also drive you to the sleeping district of the city to learn more about the local life in the typical Russian province town. In the evening, we will drive to Rostov town to see the sunset with a view to Rostov Kremlin located on the bank of Lake Nero. If we have time, we will rent a boat to enjoy the panoramic view on Rostov Kremlin. What is special in our Golden Ring Tour Package? >> Authentic Russian UAZ minivan. Initially, this vehicle was designed in 1950s as a support car for military forces. Now it‘s still producing as it was sixty years ago… And, surprisingly, it looks almost like in 1965! UAZ-452 looks very similar to VW transporter, but there is also huge difference: VW was designed in German, the country of highways. Our «CrazyBu» van is Land Cruiser 40 at the back of its mind – axles, frame, under drive and robustness in everything. Do you need to build highways if you produce such vans? PS. You can choose the Pajero IV instead. >> Bunker-42 is ex-military object, which is located at a depth of 65 meters under the ground in the center of Moscow. The excursion is a successful combination of historical and technical parts of the bunker. During the tour you will be visiting the fourth section of the bunker, which used to be a reserve command post. Then you go to the technician section filled with life support systems, where you will have the unique opportunity to go through dark tunnels and creep into a ventilation shaft climbing the footway. >> Banya (a Russian type of sauna, a kind of steam bath) is one of the oldest Russian traditions. Despite the fact that this tradition is several centuries old, the banya is popular even today. You can find banyas in large cities and small towns. Usually those Russians who have summer cottages, almost always build their own banya there. >> Borscht is a sour soup of the deep ruby color; it is healthy and nutritious. In the Soviet Union, borscht was one of the most popular everyday dishes: "the common denominator of the Soviet kitchen, the dish that tied together ... the high table of the Kremlin and the meanest canteen in the boondocks of the Urals, ... the beetroot soup that pumped like a main artery through the kitchens of the east Slav lands". Among Soviet leaders, Leonid Brezhnev was especially partial to borscht, which his wife continued to personally cook for him even after they had moved into the Kremlin. >> Russian zastolie (alcohol drinking party) can hardly be translated as it comprises a broader meaning than just a kind of festive meal or table party and has a special spirit. Russian zastolie is the essential part of every holiday in Russia. It is getting together for long, abundant dinners, enjoying food, drinks and conversation. Alcohol is important part of the zastolie as well as saying toasts. The toasts demonstrate the good attitude to the hosts. Russians toast abundantly and with flourish, showing wit and humor. The toasts can be long and sentimental and include quotes and lyrics. >> The Russian rail system is one of the largest in the world, and trains serve almost every town and city in Russia. Train travel is a safe, comfortable and inexpensive way to get around. In fact, it can be safer to use Russian trains than internal flights! It will certainly be cheaper and far more interesting. We recommend trying “Platskartniy vagon” class (open-plan dormitory with 54 bunks) just for 2 hours because it is the most popular in Russia. Prices depends on many factors, so please contact us to discuss your wishes, schedule and the price. Please, use the calculations in the table as an approximate pricing for the tour (without accommodation and meals). The route: about 850-1000 km.